Who can write a review and when can they write it? 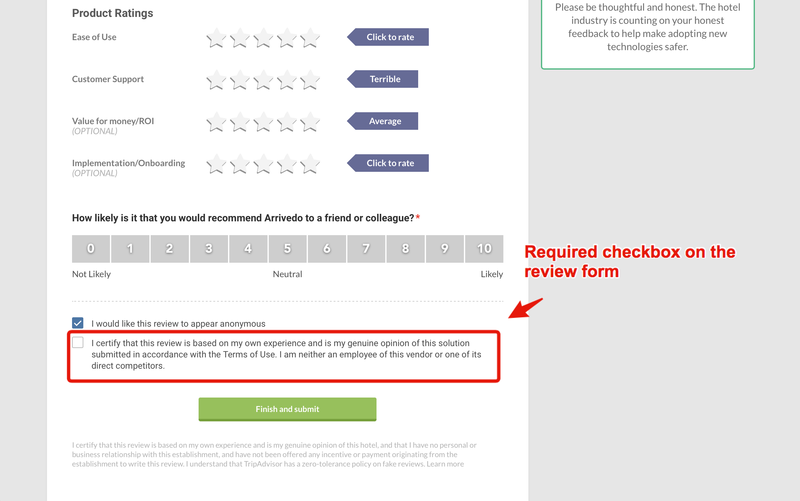 While anyone who verifies their identity with Linkedin can write a review on Hotel Tech Report, Only verified hoteliers' reviews are actually published. Helpful tip: Save a photo or copy of documentation that shows you've had a buying or service experience in case there's a question about your review after you've posted it. Once you've written a review, you can always edit or update it to reflect your most recent experiences. You may do this when you are logged into HTR by reaching out via the live chat. And finally... We love seeing informative, helpful reviews on Hotel Tech Report - so we've put together some tips to help you write great reviews in our help center.